The history of this exemplar Queen Anne is a bit complicated. The National Register notes that it was built for Dr. Robert Monroe Lovvorn in 1877, but since Dr. Lovvorn (Bowdon’s other Dr. Lovvorn) was born in 1866, I find this highly unlikely. Perhaps it was built by his father, Colonel William Daniel Lovvorn. 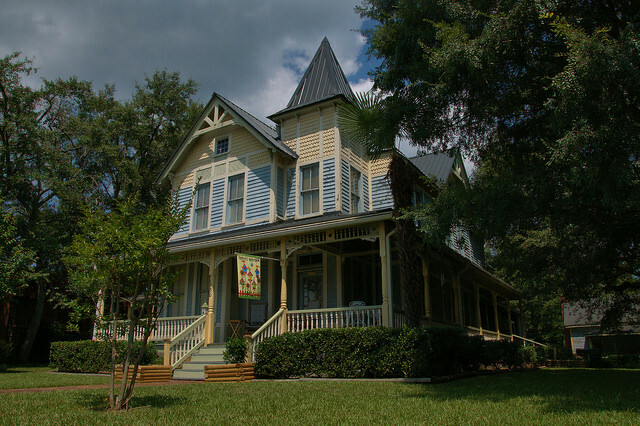 In the early 1900s, the house was owned by W. J. Whatley. It was later operated as the Dobson Hotel but came to be known as the Bowdon Inn while serving as a boarding house owned by Nathaniel McWhorter.